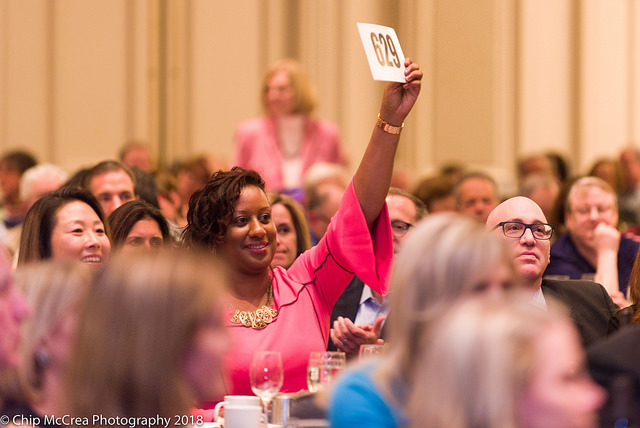 Donations were made auction-style during the “Empty the Shelter Challenge"
RESTON, Va. - Jan. 30, 2018 - PRLog -- Cornerstones, a nonprofit organization with the mission to end homelessness in Northern Virginia, held its 35th Annual Capitol Steps Benefit Performance on January 21, 2018 at the at the Hyatt Regency Reston. 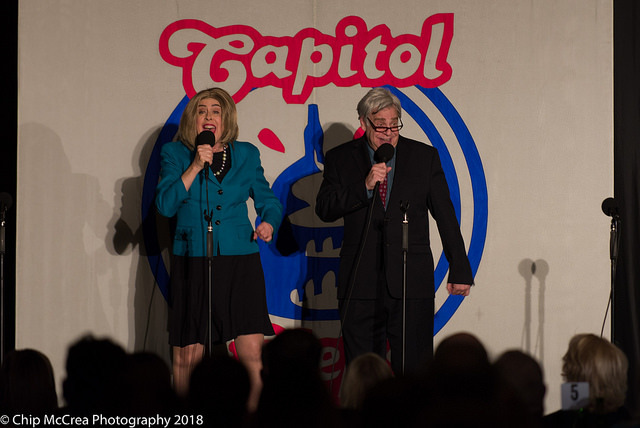 Over 600 people attended the event which included a performance by the Capitol Steps, who are a political satire performance group. Cornerstones holds this annual event to support individuals and families in the Embry Rucker Community Shelter and to move them to affordable housing through their "Empty the Shelter Challenge." This year's event raised $340,614.00, which is the highest amount raised in the 35 years that the performance has been occurring. "This is a remarkable outcome, and it is much needed to continue to provide members of our community with concrete answers, safety, stability and welcome that Cornerstones provided to more than 16,000 men, women and children last year," said Kerrie Wilson, Cornerstones' CEO. "Once again, the community has come through at a time when there is deep need." 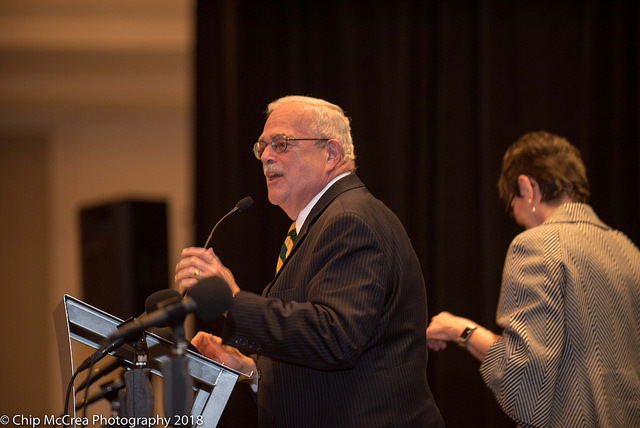 Congressman Gerry Connolly addressed the crowd, "The homeless population in Fairfax County has declined 47% since 2008. We can be proud of this success, but in the face of ongoing economic challenges, we must work even harder to meet our goal of fully eliminating homelessness in Fairfax County. 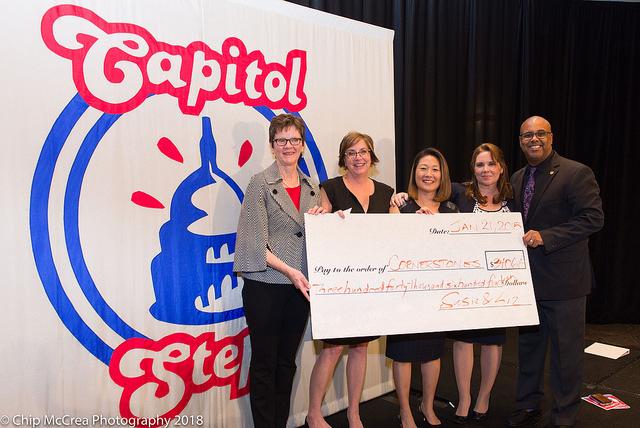 Cornerstones has played a significant role in this progress, but it would not have been possible without the dedication of more than 6,000 volunteers and the support of local and federal governmental agencies, corporate partners, and the community." 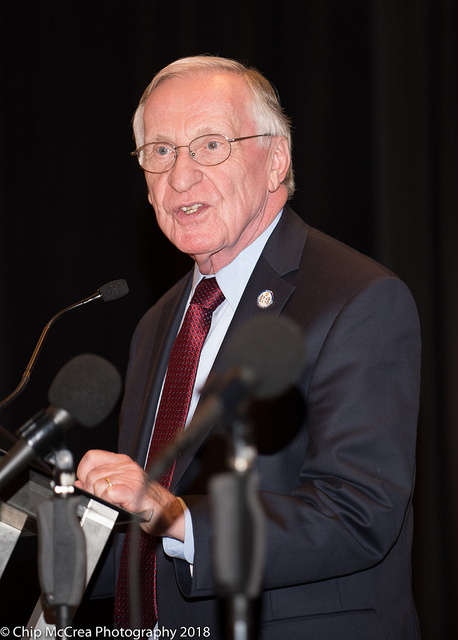 Delegate Ken Plum led the call for donations known as the "Empty the Shelter Challenge." Plum reminded the crowd, "Just a few blocks away from us right now, 70 men, women and children are staying at the Embry Rucker Community Shelter because they have no permanent home. Plus, more than 50-60 people are sleeping on mats in the shelter's open space or at Cornerstones' winter Hypothermia Prevention Program. Tonight is the opportunity to help Cornerstones provide a safe, comfortable home for families in the shelter." Many local businesses supported this event as sponsors including Long & Foster Companies; Bob & Lisa Van Hoecke; the Gupta Family Foundation; Dev Technology Group; Liz Gavin Pao and Terry Pao; Bonnie and Bob Haukness; Kelley, Drye & Warren LLP; Boofie & Joe O'Gorman; PNC Bank; and TeraThink.